Create a do it yourself reading nook for your kids that is fun! 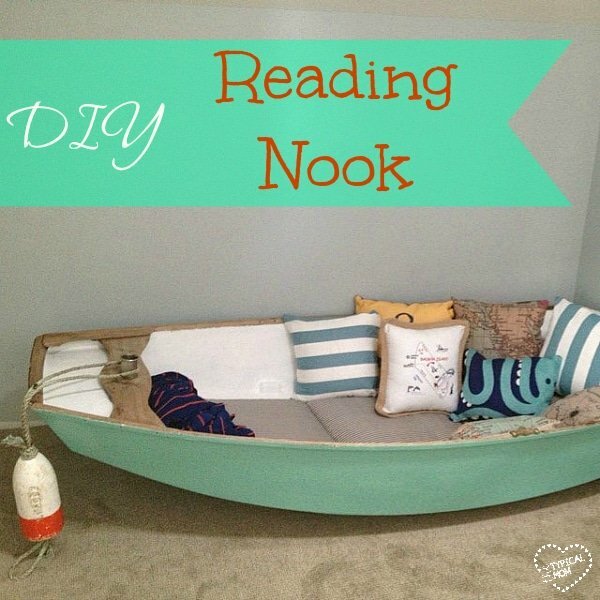 Use an old boat for a nautical theme or other items to create a fun reading area. This is my favorite DIY reading area for kids idea!! I love repurposing. To turn something useless into something useful and fantastic is my favorite thing to do, especially if it is for my kids (and when other people love it too that is just a major Bonus)! Take a look at this do it yourself reading nook. This project began on Craigslist of all places. You can look for “goodies” that could be turned into masterpieces like this boat that needed a lot of lovin’ or it was going to end up in a fireplace somewhere. Let your imagination go into full gear. Here’s a thought……………..hmmmm, with this and that maybe a reading area????? It was just $20.00 and just needed a little “work”. 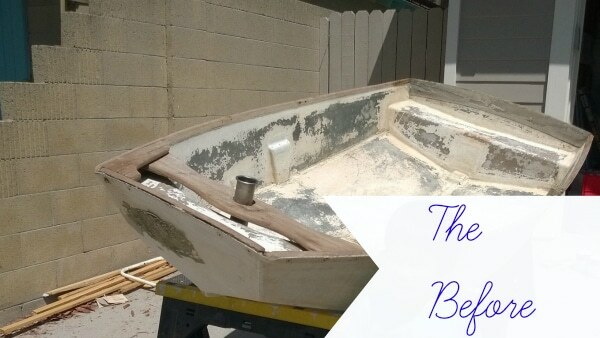 Sandpaper and paint can always be found in the garage and with some scraping and sanding (with the kids’ help of course, that is half of the fun) make a smoother surface to paint on. 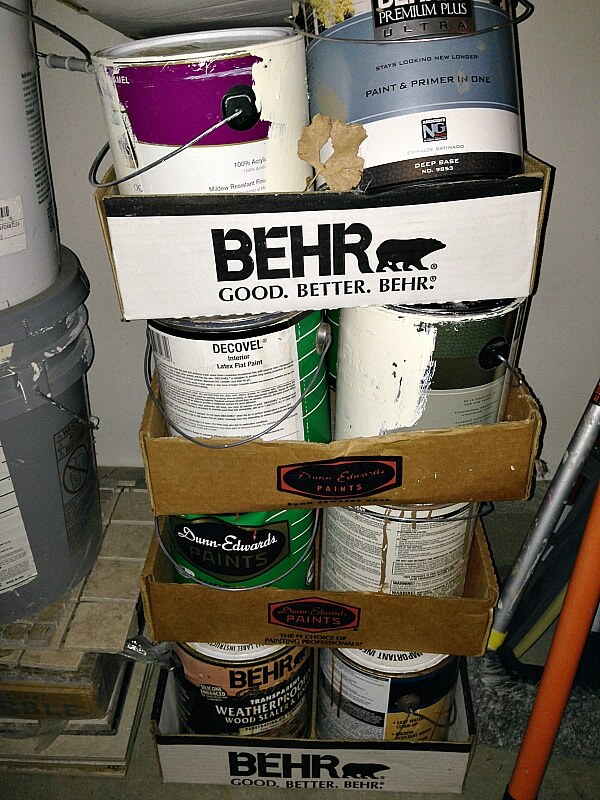 I am sure you have many cans of this or that leftover paint to use to save some money (of course make sure it isn’t too old and it is safe for kids to be around/touching it). Once that is done it’s time for some cushion, literally! 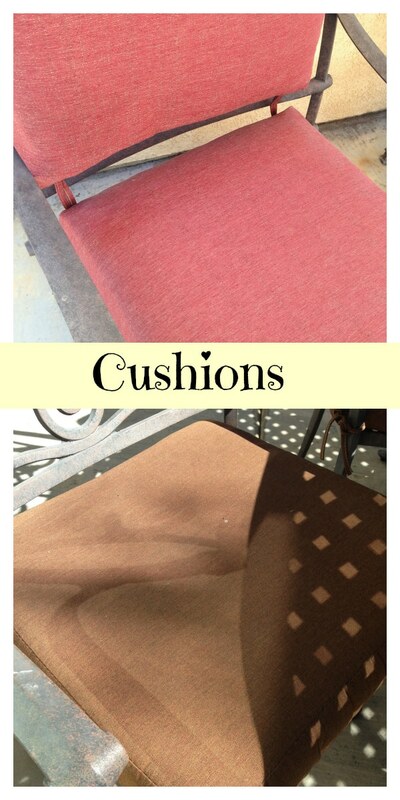 Patio cushions seemed like the most inexpensive option, and just the right thickness. They’re flexible so use some on sale similar to the ones below for some softness. Either a few single chair ones or larger ones connected will do. The throw pillows are a mish mosh of several styles, and you can find some on Amazon (affiliate link) so I could create a good mix to make it snuggly and cute!! The buoy was actually found on the beach while out on a stroll with the kids which was just meant to be, but you can get a buoy for under $10 here (affiliate link) too for a cute addition. Presto…..a great reading nook! This DIY reading nook was made by a friend of mine in High School. She is a Mother now and wanted to be able to share this. How easy it is to create something great out of something that would normally be thrown away. This is so creative and l the idea of having a reading nook for the kids. This is such a lovely reading spot! What a great use for an old boat! I bet they love it!